Honorable Mentions of all the Media Outlets covering my Adventures. 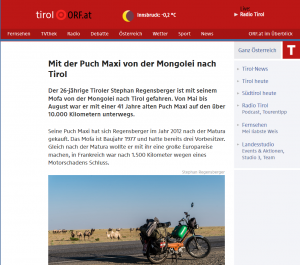 Online News Page of the Austrian federal run mediaoutlet "ORF". 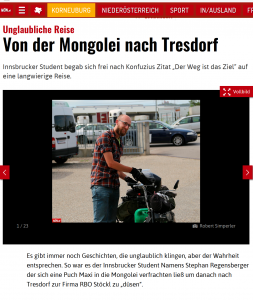 They had a fairly large Article about my Trip. 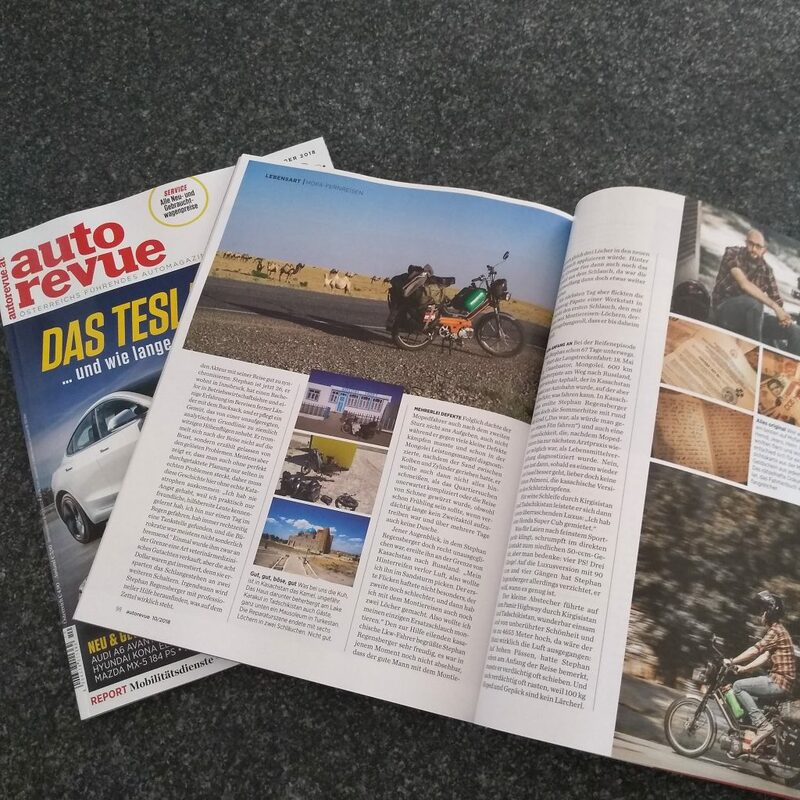 Car and Motorsports focused Magazine that published an Article spanning 5 pages about my Journey. Really great Experience especially since they published quite a few of my pictures. 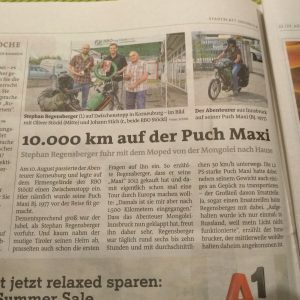 The "Innsbrucker Stadtblatt" as Part of the Bezirksblätter Österreichs printed the same article that was already published by the Paper from Korneuburg. The NÖN came to the Gathering at RBO where we celebrated my arrival in Austria. 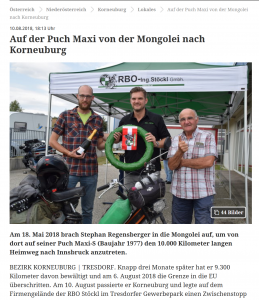 Another piece about the welcome back Event at RBO in Korneuburg. 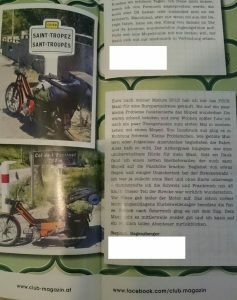 An Austrian Magazine focused around Puch Vehicles did a little entry about my 2012 Maxi Tour. I have to admit there is one small mistake in the text, they wrote that I got home by train after I broke down, but if you read my Blog post about it you know that wasn't the case, however I didn't tell them how I got home so I guess they just assumed I went by train. I kinda was fine with that though.